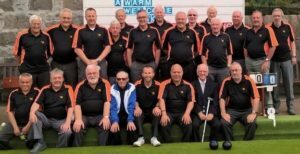 The Northern Bowling Club would like to thank the following Clubs in Aberdeen. Aberdeen Transport, Aberdeen Northern, and Whitehall, for there hospitality, and friendship and making it a memorable tour. Undefeated in all three games the fitness coach has reported. ” Happy to Meet Sorry to Part Happy to Meet Again”.